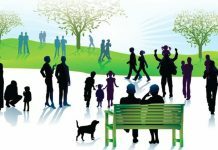 Usually, practitioners and scholars alike emphasise the ideal impact of Corporate Social Responsibility (CSR) on all three stakeholders: People, Planet and Profits. But the authors of this article would like to prioritise the impact as: Planet, People and Profits. This re-ordering is not mere play of words. 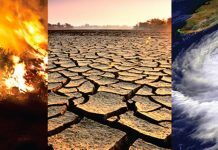 It is significant given the accelerating pace of climate change and the ecological footprint that economic growth has on the environment i.e., the planet – the only option as yet of habitat for life on earth. 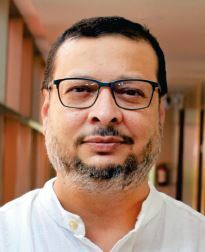 We argue that this reordering of putting first the environment (Planet), then society (People) which depends on the environment for resources, and finally, leveraging the economic engine (Profits), which could both support growth and sustain the natural resources, is especially significant for Indian CSR. Let us examine the facts and a story that support such an argument. India is the first and only country in history to have established a mandatory framework for CSR by imposing a statutory obligation on companies to take up CSR projects towards social welfare activities. The Indian interpretation of CSR is a fresh change from its traditional philanthropic approach of the past. The Companies Act, 2013, is the governing act of CSR in India since April 1, 2014. 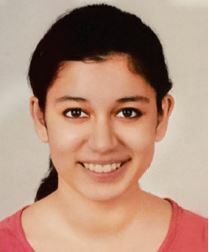 However, the Act was passed by both Houses of Parliament and approved by the President of India on August 29, 2013. The rules as per Section 135 of the Companies Act makes CSR applicable to Corporates with an annual turnover of 1000 Crore INR and more, or a net worth of 500 Crore INR and more, or a net profit of Five Crore INR and more. Eligible companies must spend a minimum of two percent of their average net profit of the previous three financial years on CSR programmes (calculated as per Section 198 of the Act). Additionally, as per regulation, companies are also required to formulate a CSR Committee appointed by their board members with at least one independent director. The CSR activities under the ambit of the Act are enlisted under Schedule VII which range from supporting education, women empowerment, environment and healthcare, making businesses to partner in answering complex development and economic problems in India. 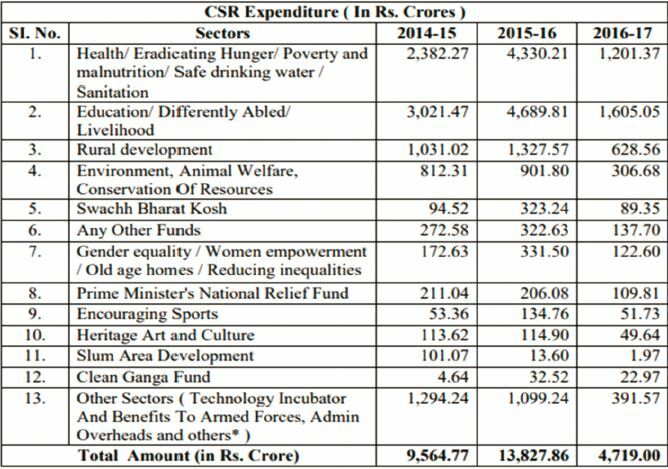 As per the Ministry of External Affairs, the total expenditure in CSR for the financial year 2016-17 has been a sum of 4,719 Crore INR, a sharp dip from the whopping 13,827.86 INR in 2015-16. What seems like the usual trend in spending is the elaborate expenditure on Health and Education with a growing gap amongst other sectors of availability. One such sector being Environmental Sustainability, which includes varied aspects of global concern of common pool resources. Sustainable Development Goals (SDGs) are a set of global goals set by the United Nations to transform the world and ensure growth of each through the new sustainable development agenda. The 17 global goals range from ending poverty to climate change and have 169 targets which need to be achieved by the year 2030. The Indian CSR approach is similar in perspective; providing areas of CSR activities where the country would use some monetary support. Since the 17 SDGs provide defined targets of measurement and universal compatibility amongst nations, the4 overlapping nature of CSR activities and SDGs provide the perfect measure of activity outcome. India is one of the 193 countries that have signed the Declaration on 2030 Agenda for Sustainable Development on September5 25, 2015. However, evaluation of CSR in terms of SDGs gives us an idea of anunequated, unmet requirement of expenditure on the wholesome need of environment management which is one of the key elements of sustainable growth. Environmental sustainability gets the fourth position and amounts to about seven percent of the total CSR spending. Though Environmental Sustainability coincides with seven SDGs, yet it is not one of the top priorities of the industry when it comes to CSR spending. It is noticeable that companies wish to spend in preferably better-judged brand building spending spheres of education and health, which unlike the environment, do not lead to non market reciprocation, although essential components of inclusive development. 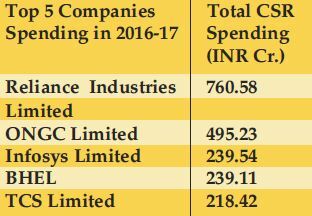 The top five spending companies in the FY 2016-17 and a comparison of their spending in FY 2015-16, along with their share of spending in environmental sustainability show clearly how environmental concerns are not prioritised amongst leading names of the corporate world. This problem needs quick address in order for India to live up to its potential in achieving SDGs in a timely manner. 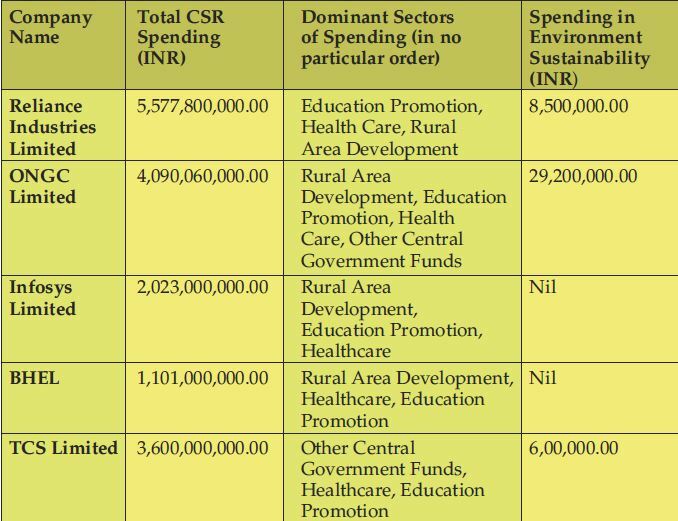 While There is also disparity in spheres of spending, there is also visible troublesome discrepancy where most CSR expenditure is implemented, exacerbating uneven development in the country. While irresponsible business conduct can be harmful, either directly or indirectly, the triple bottom line approach of the three P’s if considered properly as an integral part of all business operations, reassures both companies and their customers a sustainable future. Hence, the phrase of ‘The Triple Bottom Line’ was coined by John Elkington in 1994 as an argument for companies to be preparing three separate accounts for measuring their financial, social and environmental performance in every business cycle. 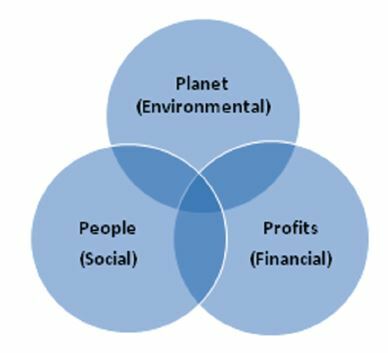 But when ordered as Planet, People and Profits, the triple bottom-line could significantly alter both corporate and public policy. People utilising the scarce resources of the planet for their businesses must invest and reinvest in environmentally-conscious projects to support the society built by people who are again vital elements of the planet. 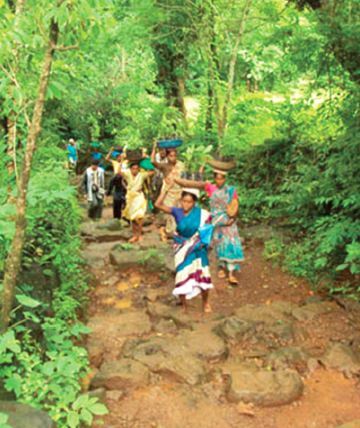 One of the best ways of studying the importance of putting the planet first and understanding the connect of people with their environment via livelihood can be through the study of the Western Ghats and the work of Applied Environmental Research Foundation (AERF), a registered NGO-based in Pune in operation for more than twenty years. Profits (Financial): AERF connecting the community to conservation via sustainable livelihood generation by creating links between people and markets. Why Western Ghats? The Western Ghats are not only home to a myriad of rivers but are also the centre of evolution of economically significant domestic plant species such as mango and cardamom. It is one of the few globally recognised hotspots of biological diversity. The importance of Western Ghats can be substantiated by its significance in the sequestration of atmospheric CO2. Varied parts of Western Ghats are also included in the UNESCO World Natural Heritage List. The Western Ghats are not only biologically 8 rich, but also biographically one of a kind. But what was startling was the lack of awareness of its inhabitants of the economic vitality of their surroundings. The population was fast moving to urban spaces in search of jobs and mostly troubled by lack of choice. While measures for its conservation were a definite requirement, what was also necessary was an environment-friendly and socially inclusive development. Societies who could be provided a livelihood through the preservation region would be a potential asset for future conservation of biodiversity and showpieces of exemplary interdependence between the social and environment. AERF acts as an excellent exemplar of on- ground community- based conservation providing the often missing piece of Profit from the two other Ps. AERF believes in natural resource management models that are community interactive and inclusive in the larger cause of environment protection. The planet being a priority, the organisation uses people as a facilitator and protector of the planet and its resources through consensual conservation agreements. These agreements are made possible when communities are not only taught about the economic benefits of their habitat, but also made to perhaps appreciate their surroundings by empowering them to make a living from their environment through careful sustainable harvesting. Certification partners like FairWild work together to train, educate and provide the branding, attracting market premiums from herbal products demanding customers of Pukka Herbs Inc. of the UK, which since recently has been acquired by the global MNC, Unilever Ltd. 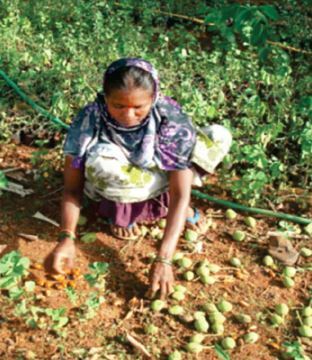 The company both creates the demand for the fruits of endangered trees to be sustainably harvested (as ingredients of the ancient Ayurvedic Triphala – a remedy for gastrointestinal disorders), and supplies the market with its needs for a nature-based remedy. Some of the ways of conservation on the ground are ecological restoration of sacred groves by making potential possibilities to adjust to environmental change and to develop sustainable livelihood choices to the local communities, utilisation of alternative energy sources like solar, wind and so on, at the local level, and makingenergy awareness among partners/stakeholders. Research is used to build the capacity of communities participating in conservation action and connect with organisations in a significant way to generate awareness and capital for the reason for biodiversity conservation. AERF is building a market chain such that indigenous communities could now have their own means of survival; they can create their own schools, colleges and development of roads. The beauty of the resource-rich Western Ghats is its biggest threat. With exploitation at its peak, measures of conservation and awareness should also be raised accordingly. Habitat loss and fragmentation of forests, besides the global skinmarket (tigers and leopards are hunted for their skin and for traditional Chinese medicine as they have the highest value on the market) are the key issues of environment concern in the Western Ghats. Loss of habitat is also loss of a species which affect other carnivores or other affiliated species sensitive to ecosystem changes. This makes biodiversity conservation exceptionally fundamental as a national matter of alarm.While the Conservation International (CI) designates Western Ghats as one of its biodiversity hotspots, it is shameful how few are aware of the same. Around the world, 35 areas qualify as hotspots. They represent just 2.3 percent of the earth’s land surface, but they support more than half of the world’s plant species as endemics—i.e., species found no place else and nearly 43 percent of bird, mammal, reptile and amphibian species as endemics. People must realise that the planet and they are not segregated entities but just the smaller picture in a larger frame. The planet and its people are priorities in profit creation of business, as without the planet, neither would there be people nor any profit without people. Businesses can sustain themselves in the long term only if run in conjunction with conservation of biodiversity, preservation of the planet and feeding the needs of the society. Here, the planet plays a front runner where business must put their best foot forward to protect their own economic growth prospects,changing the order of the Ps, with planet, people and profits. 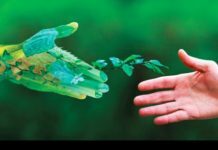 Corporate Social Responsibility could thus become an essential agency of a nation to ensure that businesses invest a part of their profits to repair and sustain the planet to build mutually beneficial relations. This principle could be illustrated with just one of the aspects enshrined under the provisions in Environmental Sustainability in Indian CSR, namely, conservation of biodiversity. 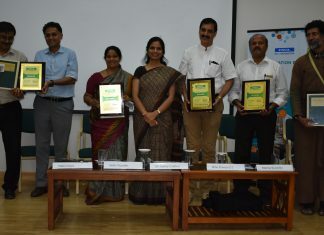 With the right partnerships, CSR in India could lead to a balanced maintenance of genetic diversity, species diversity and ecosystem diversity which is the source of food and water security in a climate challenged planet particularly affecting the economically vulnerable nations of the world, such as India.